We’ve been asked what tangible benefit a strategic buyer will have for an owner selling their business. The answer lies in the symbiotic alignment of buyer & seller. But how does this work in real terms? A strategic buyer will enable the business to thrive as the company can benefit from a new or increased market share, fresh ideas, cross-sale of products or services, cross-channel sales and/or cash injection for investment purposes. For a buyer this value is evident if they can see that a business could help forward their overall strategy. This value will often increase the price they will pay for the business – so a strategic sale is a genuine win-win. A perfect example of this is the recent acquisition of Danish start up Gaest by Airbnb. Airbnb is currently worth circa $38Bn and may be headed to float on the stock market, possibly this year. It operates an online members marketplace and hospitality service. Members use the service to arrange or offer lodging, primarily homestays or tourism experiences. 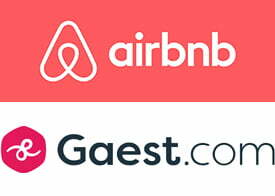 The first is that Gaest will help build on Airbnb’s expansion into services for the business market. Gaest are one of the world’s largest online marketplaces for listing, discovering and booking unique venues for business activities. Prior to the acquisition Airbnb had already successfully targeted & explored this area. Last year they launched a test program called “Airbnb for Work”, aimed at the business travel market. As many as 700,000 companies had employees sign up and book accommodation through the program! The second area we can see the strategic fit working is that Gaest will help Airbnb provide more value to existing and future hosts. As well as offering accommodation hosts will have the chance to offer additional paid experiences thus helping them to increase their options for monetising guests. David Holyoke, Global Head of Airbnb for Work, summed it up: “Bringing in a leadership team with strong domain knowledge allows us to accelerate our work in this area, and more importantly Gaest and Airbnb share a vision of helping every space owner become entrepreneurs through sharing their spaces with those who need it.” More information on the acquisition here. On working with our clients, TheNonExec reverse engineers this process to identify where synergy could be created by an acquisition of our client’s business. This helps to build a detailed research brief on the ideal target together with a defined geographic scope. Our industry experience within our specialist sectors means that we are able to widen the research brief into areas our clients had not previously considered. To discuss a strategic sale of your business call 01202 828266 or book an exploratory session here.